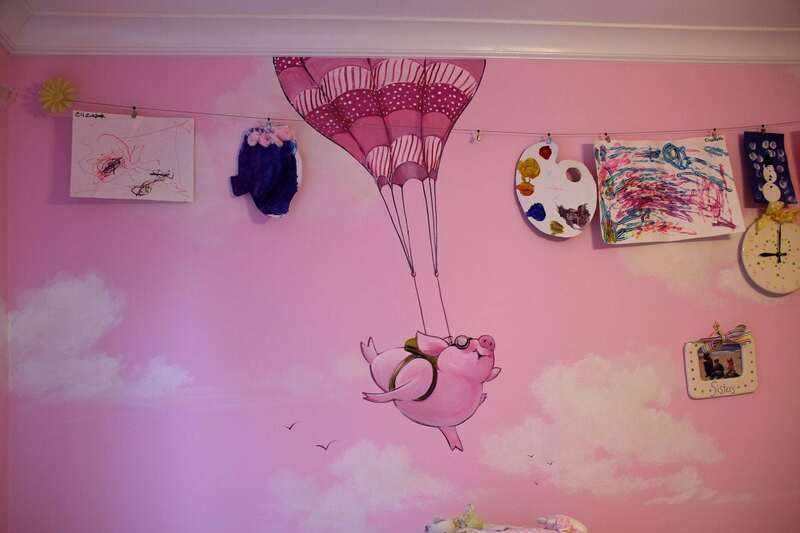 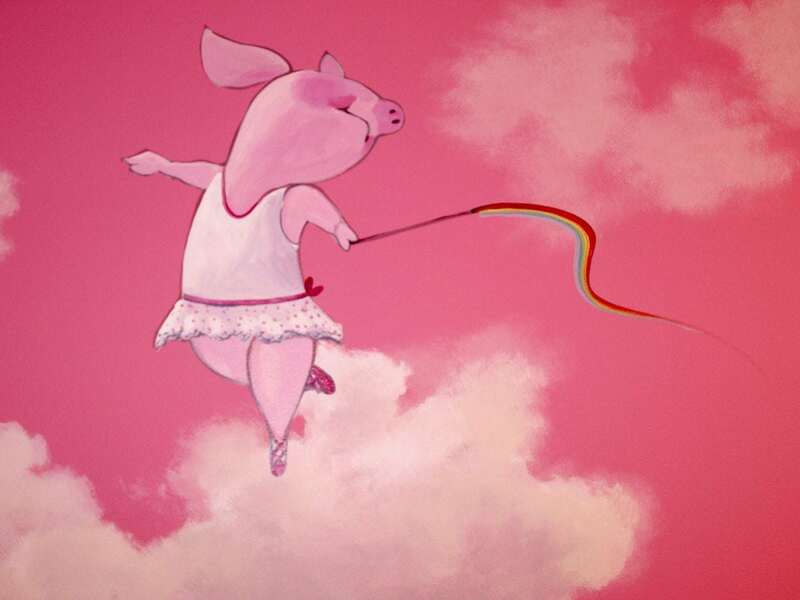 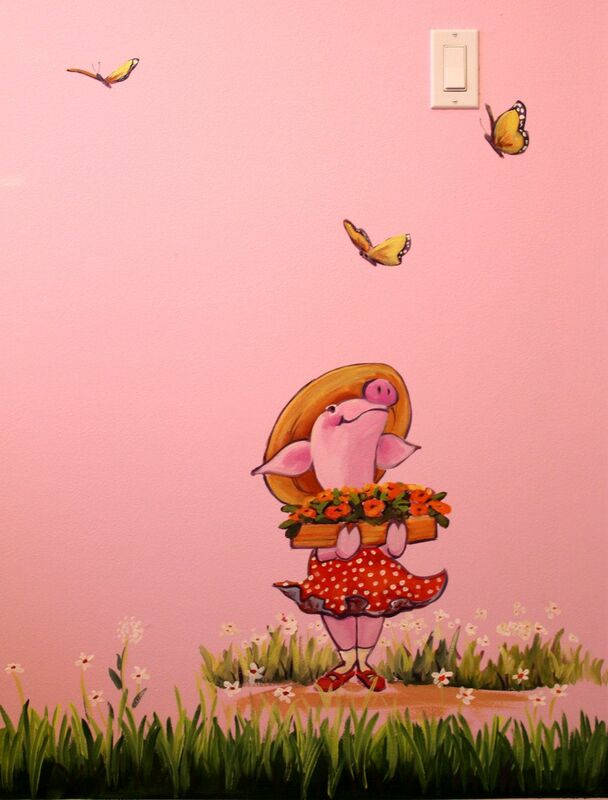 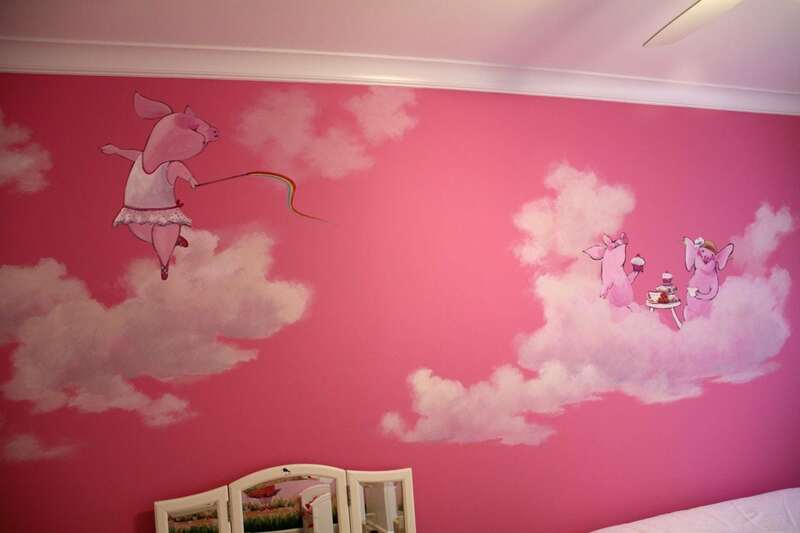 The happy piggies I painted, inspired by Toot and Puddle from Holly Hobbie books, are equally matched in exuberance and temperament of the 5 year old girl who occupies this very pink room. 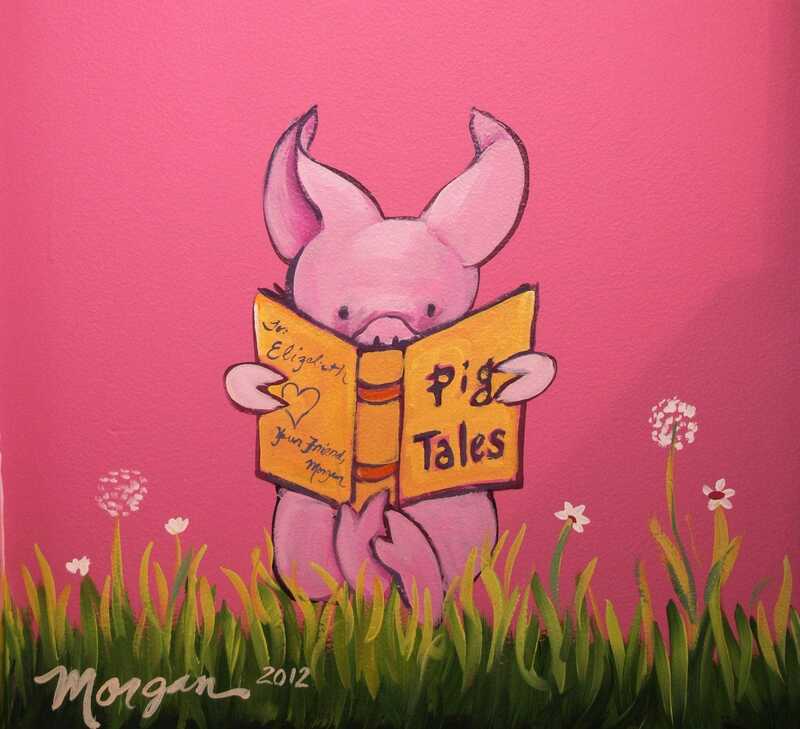 Getting to know Elizabeth (she was my assistant while I painted the mural) was so much fun. 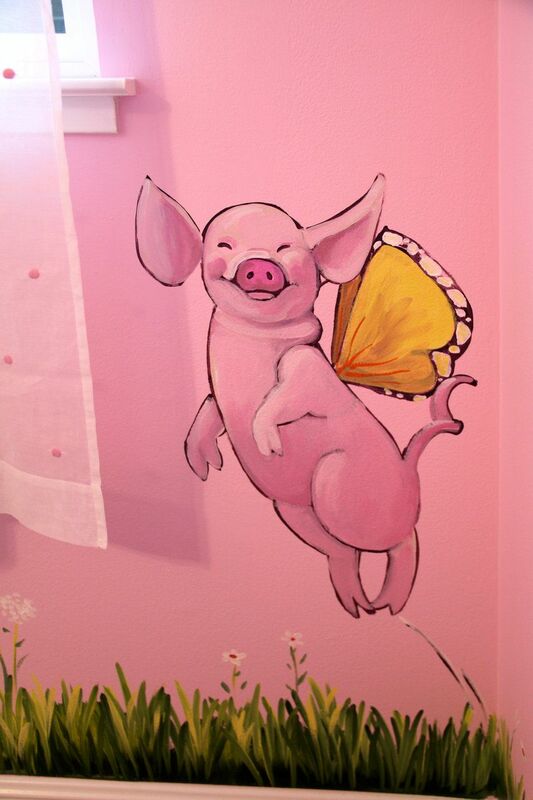 I realized I need to have more 5 year olds in my group of friends.